I have been obsessing over these all week! It is a beautiful, rewarding feeling when I can combine my favorite mediums into one stunning project. These have the WOW that inspired me to start my business! Swoon! I began with a vision from the bride that was classy and unique- square invites with modern script, and traditional serif block lettering. I love this kind of design because I can pull a really deep impression, and the charm of letterpress has the opportunity to shine. 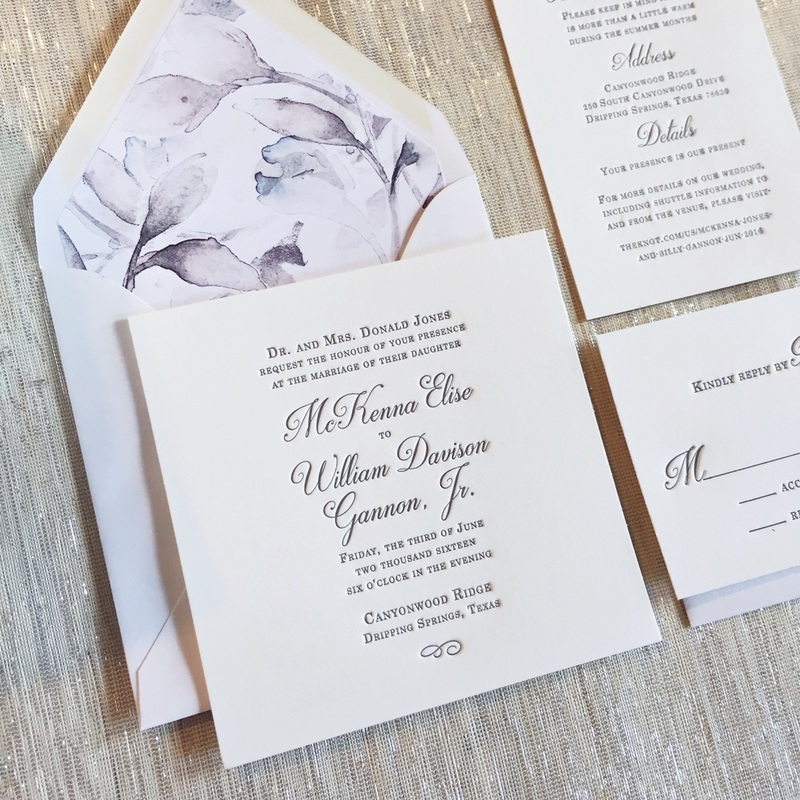 Wanting to do something special for the envelope liners, I painted a loose, watercolor floral piece, and desaturated it on the computer to match the classic grays. What a lovely surprise to open an envelope and find! The pieces stacked beautifully inside. I couldn't be happier with the finished set! It is seriously everything I love about boutique stationery in one small, 5.75" square package. I imagine the bride recieves a huge response! Thank you for reading! Feel free to message me if you are interested in some of your own custom letterpress!